Growth with a focus on the long term. For almost a century, we have expanded our businesses and markets, and crossed borders; today we are one of the largest companies in the industry in the world. ​Our history began in Brazil in 1933. Since then, we have built many plants, expanded our businesses and markets, and crossed borders, and today we are one of the largest companies in the building materials industry in the world. We are present in 12 countries: Argentina, Bolivia, Brazil, Canada, India, Morocco, Peru, Spain, Tunisia, Turkey, United States, and Uruguay. We have a cement production capacity of 52.8 million tons/year and our revenues in 2017 were R$ 11,1 billion. 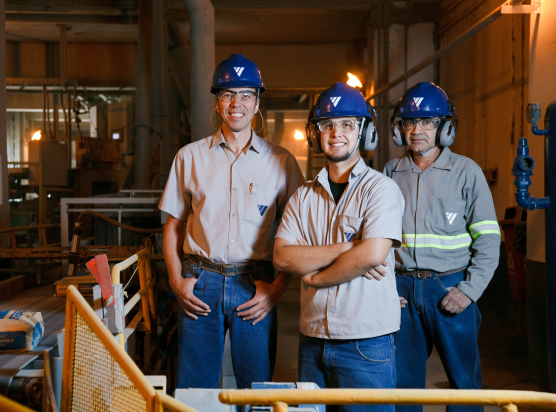 Votorantim Cimentos is part of Votorantim S.A., a 100% Brazilian company, which is present in 19 countries and celebrated 100 years of activity in 2018. With investments that cover a diversified portfolio, both geographically and in terms of areas of activity, Votorantim serves as a portfolio manager and also provides centers of excellence in the areas of Information Technology and Real Estate Services, in addition to shared solutions in Finance, Accounting and Human Resources.